Washington (CNN) Customs and Border Protection on Thursday ended its controversial $297 million hiring contract with Accenture, according to two senior DHS officials and an Accenture representative. At the time, the 3,500 applicants that remained in the Accenture hiring pipeline were transferred to CBP’s own hiring center to complete the process. CBP cut ties with Accenture on processing applicants a few months ago, it retained some services, including marketing, advertising and applicant support. This week, the entire contract was terminated for “convenience,” government speak for agreeing to part ways without placing blame on Accenture. While government hiring is “slow and onerous, it’s also part of being in the government” and that’s “something we have to accept and deal with as we go forward,” said one of the officials. For its efforts, CBP paid Accenture around $19 million in start-up costs, and around $2 million for 58 people who got job offers, according to the officials. Over the last couple of months, CBP explored how to modify the contract, but ultimately decided to completely stop work and return any remaining funds to taxpayers. But it’s unclear how much money, if any, that will be. In addition, to the funds already paid to Accenture, CBP has around $39 million left to “settle and close the books” with the company, an amount which has yet to be determined. In November 2017, CBP awarded Accenture the contract to help meet the hiring demands of an executive order on border security that President Donald Trump signed during his first week in office. 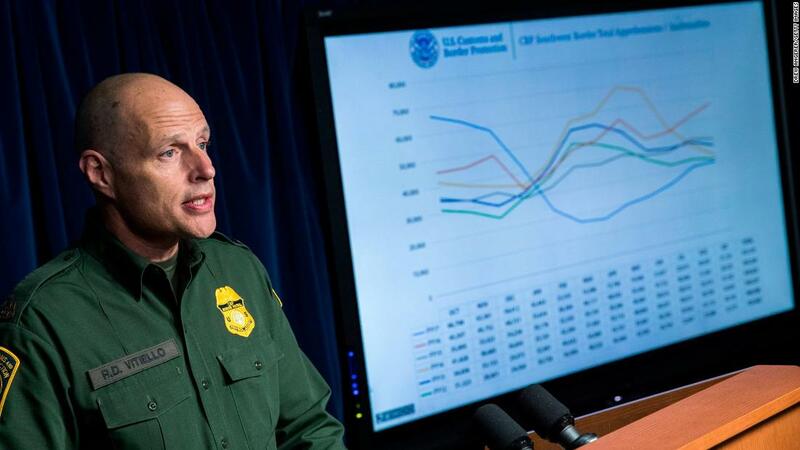 The administration directed CBP to hire an additional 7,500 agents and officers on top of its current hiring goals. “We were in a situation where we needed to try something new” and “break the cycle of going backwards,” said a DHS official about why the agency started the contract. Meanwhile, hiring remains difficult for the agency amid a surge of migrants at the southern border that is stretching CBP resources thin. It “continues to be a very challenging environment,” said one official about hiring efforts this year. In fact, one of the reasons that CBP didn’t need Accenture to process applicants, is because the agency didn’t receive as many applications as it initially planned for. The most controversial,the most effective mind control secrets.